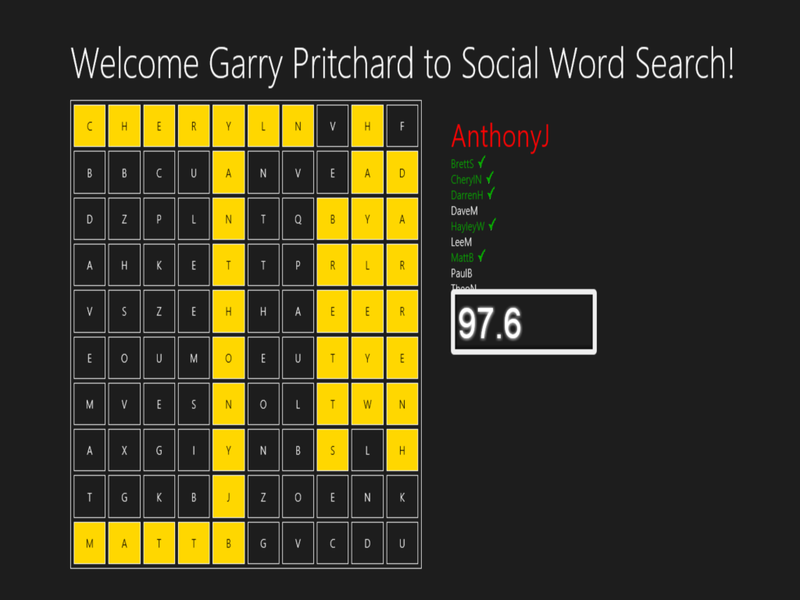 Welcome to Social Word Search. 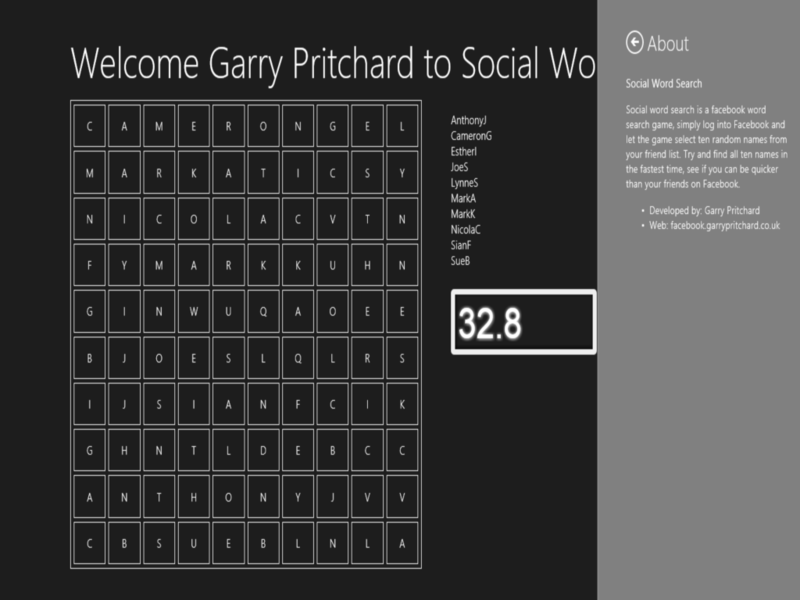 The new windows store 8 app. 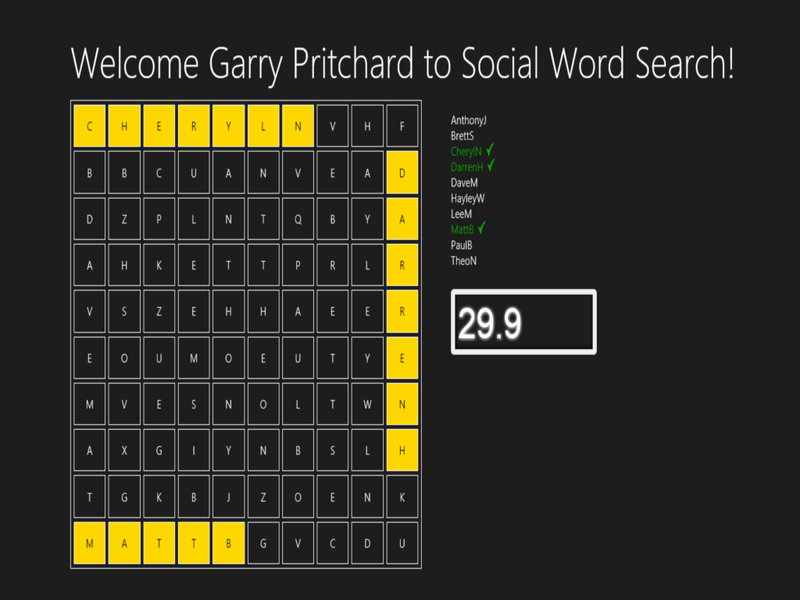 Download Social Word Search FREE (with advertisements) today from the windows 8 store, visit here for more information. 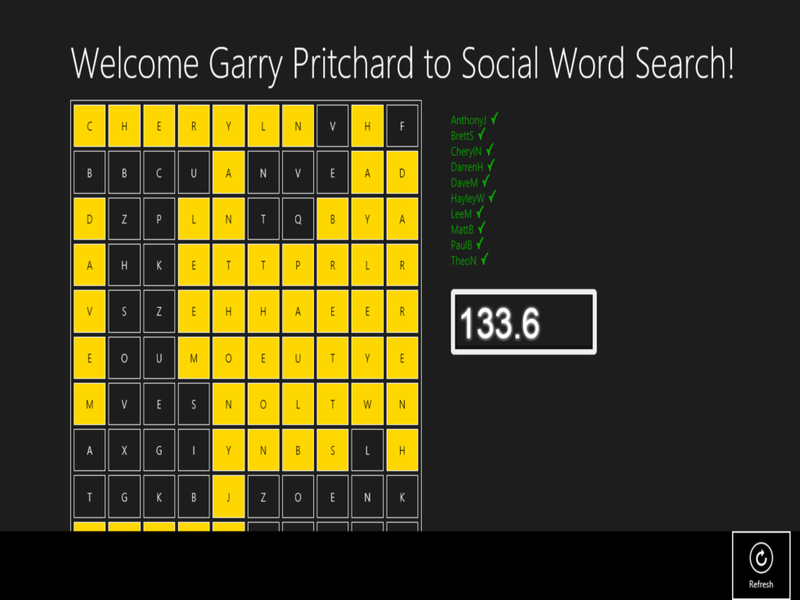 This website features images, and details about the app to help you get started. 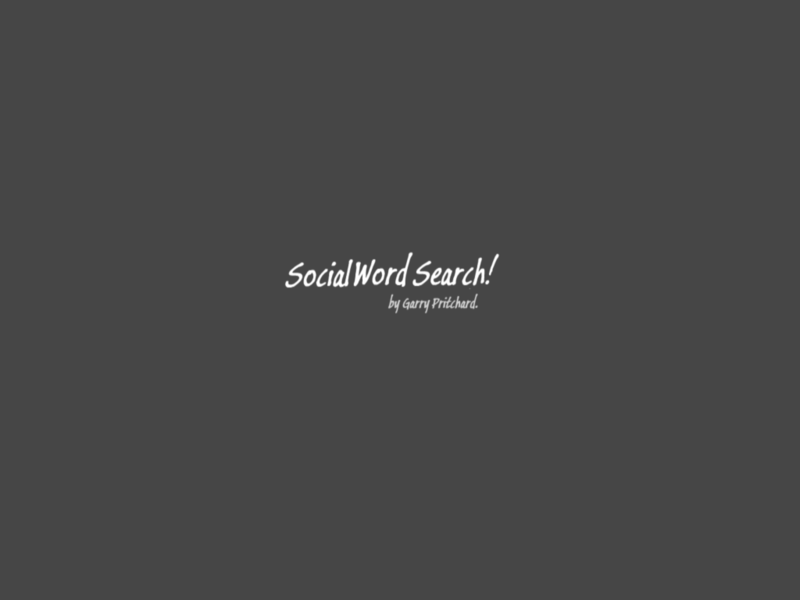 If you have any questions about "Social Word Search" please use the contact page or the about page for more information. 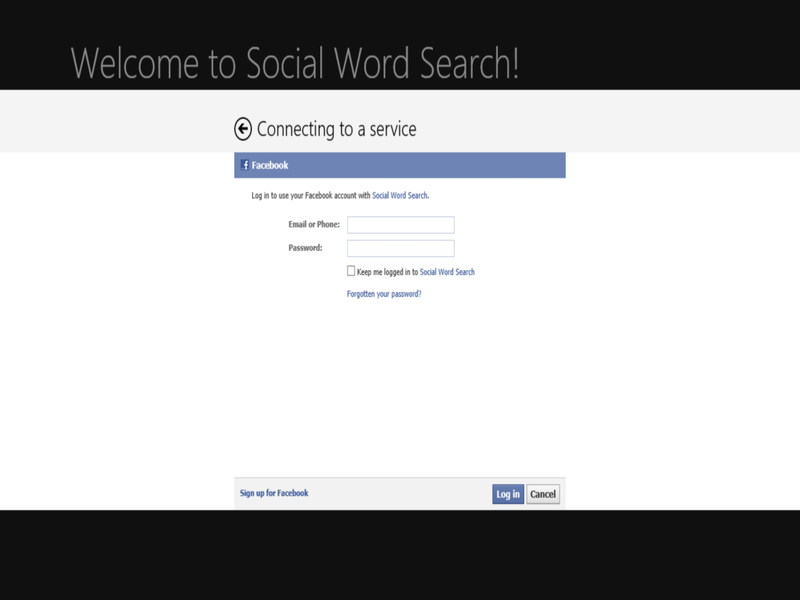 Facebook login screen, note no personal data is stored by Social word search. 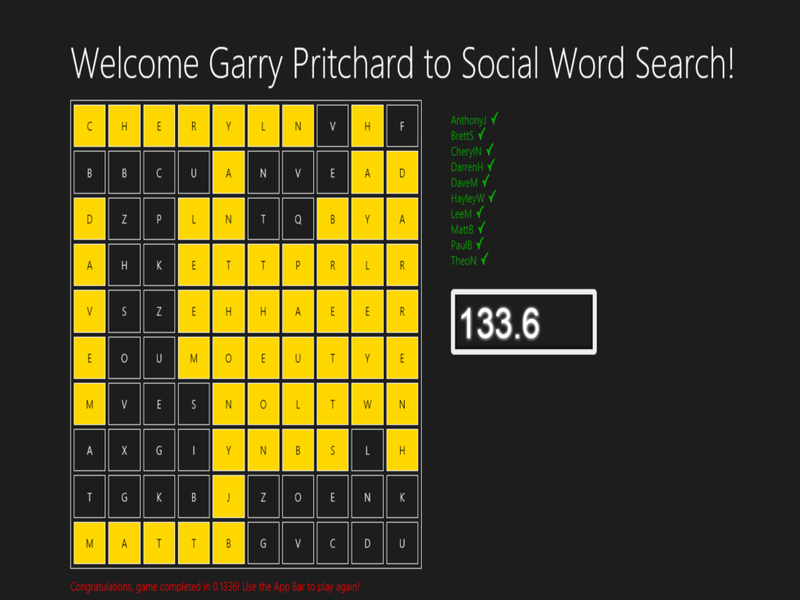 Play again, Privacy and About! App bar press refresh to start the game again! App bar (press window key +z) press refresh to start the game again!